Development of an organism from a fertilized egg is driven primarily by the actions of regulatory proteins called transcription factors. In sequential waves and combinations, these proteins bind to specific DNA sequences—called cis- regulatory sequences—associated with specific genes, and encourage (activate) or discourage (repress) transcription into mRNA of those genes (2–4). Also inflating the epigenetics bubble is a set of findings that genuinely are surprising, namely that some epigenetic markers attached to the DNA strand as a result of environmental signals (generally stressors such as starvation or maternal neglect) can be passed from mother to offspring. These intergenerational effects on gene expression are sometimes misunderstood as Lamarckian, but they’re not, because they don’t change the DNA sequence, are reversed after one or two generations, are themselves under the control of the genes, and probably represent a Darwinian adaptation by which organisms prepare their offspring for stressful conditions that persist on the order of a generation. (It’s also possible that they are merely a form of temporary damage.) Moreover, most of the transgenerational epigenetic effects have been demonstrated in rodents, who reproduce every few months; the extrapolations to long-lived humans are in most instances conjectural or based on unreliably small samples. Biologists are starting to express their exasperation with the use of epigenetics as “the currently fashionable response to any question to which you do not know the answer,” as the epidemiologist George Davey Smith (2011) has put it. Other deflations of the epigenetics bubble may be found in Coyne, 2015; Heard & Martienssen, 2014; Juengst, Fishman, McGowan, & Settersten, 2014; Moffitt & Beckley, 2015; and Haig, 2007. This article was originally published in Nautilus. This, about Lars Olov Bygren’s use of the excellent Swedish Church records, is an interesting summary of early epigenetic research from the 1980s. His work does seem to show that times of starvation and times of plenty are linked to certain changes on chromosome 15. The pattern of inheritance is quite interesting. I think stating that the best proof of epigenetics exists in rodents may be overstating things: from what I’ve read, almost all our reliable knowledge comes from plants. Animal research is a euphemism just like diversity. both have very different and malign realities. Psychopaths, dumbs and others who really believe that ”animal research” is totally necessary. If you always need use ”animal research” to TEST your theory without try to develop it more, i mean, trying to connect new useful dots, so you’re cold and dumb. on the left because their ambiguous thinking style, seems, is too much on gradient of spectrum, on the right have the opposite pattern, too much on the opposite poles. maybe the confrontative or competitive right wing nature make them over-enphasise on the end of the spectrum or the poles, while the languid nature of the left wing nature make them over-enphasise the denial of the contrasts [equally diverse], even because they tend to be more sexually/organically androginous anyway. Humans, without reason, it’s just like other animals and beings, their thinkings are most of the time the reflection of their own natures. Thinking is a way of self-promotion, namely in social environments. We use our brains to self-promote ourselves but masked as ”unpersonal”. Sorry, but this article has a number of factual errors. Epigenetic marks are controlled by a combination of genetics and environment just like all other phenotypes. And transgenerational epigenetic inheritance is a fact in animals and humans (why on earth would we be different?) and has been reviewed in all the top journals including Cell. Though I’m not saying it’s without its controversies (including for its definition) and most findings still need replicated and I’m not saying that we can’t debate the issue. 1. Not invested in the transgenerational effects. AST says we operate these epigenetic levers every generation anyways. 2. I’m unconcerned with “proofs” regarding particular genes or epigenes, it may be one or hundreds, that’s not the social point. For me (and social science), the point is that humans have learned to pull some of these levers ourselves, “on purpose,” sort of. The point of AST is that we create an adverse environment with our discipline or abuse and so leverage epigenetic effects around adversity of that sort. This science has made it possible for us to reverse-discover a human behaviour that was previously hidden, that’s what’s exciting. For me, one broader conclusion is that we urgently needed a new term to replace ‘social sciences’ and the like. If it doesn’t begin with scepticism and can’t be tested by experiment, it ain’t science. The contributions of everyone working in these areas will be all the more appreciated and better understood against the vast backdrop of all human knowledge if they start with clear terminology, beginning with the name for their field of investigation. I worked in the field of smoking and health litigation for many years and before I retired one of the emerging areas of research was transgenerational inheritance of asthma from grandmothers who smoked. Note I say grandmothers. negative results for grandfathers. Not saying the results showed causation as these were observational epidemiology studies, but is a good example of how these studies may be used to effect social policies. You guys are in for a rude awakening. Bring Denis Noble on here, but I doubt you have the guts. Between behavior and genetics, i think there is the instinct, that make up our behaviors, and look more practical than abstract as genetics. Very interesting, thought-provoking article that brings more attention to the development of epigenetics. There is still so much more we have yet to learn… This piece reminded me of Adam Rutherford’s article on the “pseudo-gene genies” in the Guardian. I don’t believe epigenetics is more important than genetics, a sentiment I think can be found in the sentence in this article, “As we mentioned, it resides in the hope that epigenetics heralds the victory of ‘environmental’ over ‘biological/genetic. 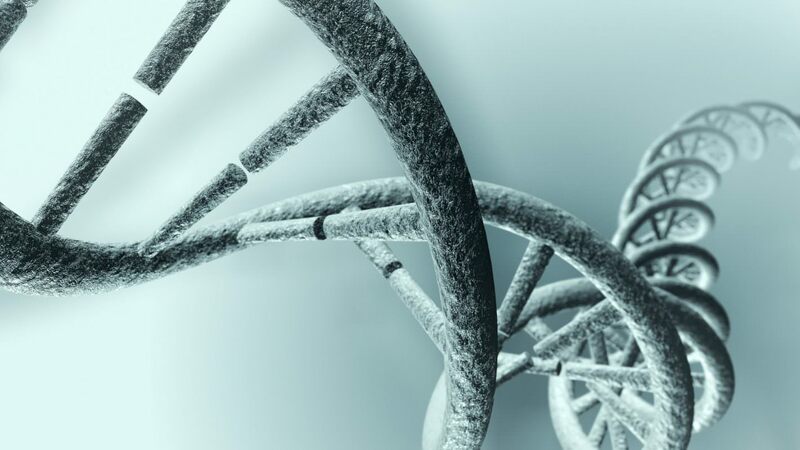 '” Epigenetics certainly offers an argument against the long-held belief that “our genes are our destiny”, but you cannot have the outcome of who we are as an individual without both working simultaneously. The environment and its influence is just as important as our genetic code.